We are bound by the confines of time… the one thing that, so far, we haven’t managed to stop, slow down or reverse. 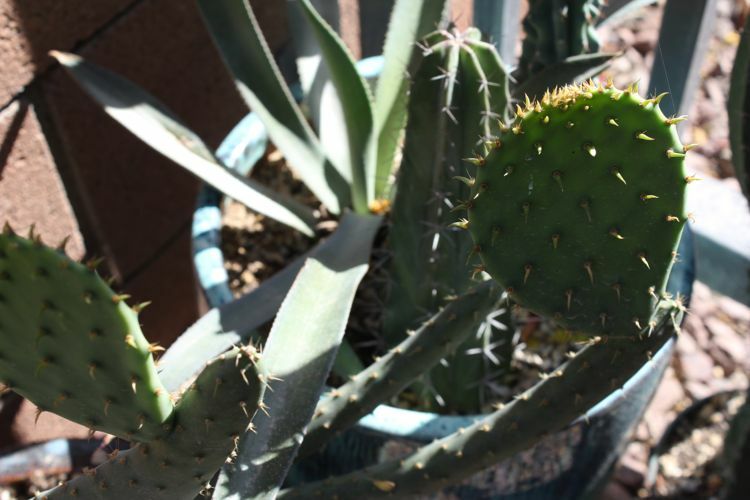 The cactus here in Arizona are sprouting and blooming before the inevitable heat wave hits and the citizens of Phoenix hibernate indoors until September or October. We’re trying to make the most of these last cooler, breezy days where the temperature only tops out at 90 and not 115. What I really mean to say is that, already, the Comfort Zones show is coming to a close this week but not before a few events to give you a last chance to come see it! 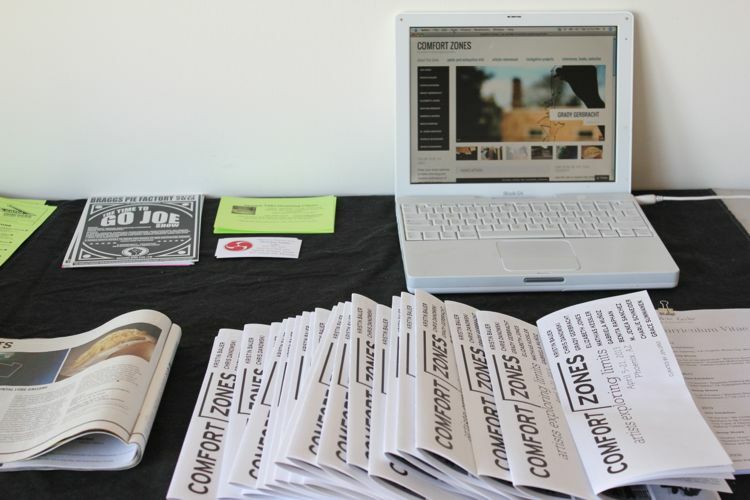 Starting on Thursday, Comfort Zones will be open as part of the monthly Get Your Phx event from 5:30pm-7:30pm. This month’s theme is Grand Openings on Grand and will feature food and beverages at (9)The Gallery, a glass blowing demonstration, special hours for Bragg’s Factory Diner, and of course a chance to see the Comfort Zones show where I can barrage visitors with information on all the artwork, all the references leading up to it, why I’m interested in the subject to begin with, what my favorite color is and why I keep dreaming about tornados. Go ahead and ask. For those who can’t stand the First Friday crowds, we will be open for Third Friday. This may be your last Friday night art walk that doesn’t involve mass amounts of sweating and searching for that next bottle of water. Also, Mathias Kessler’s projection Timeline looks the best at night. Literally your LAST CHANCE to see Comfort Zones! I would love to see you there since spending too much time alone in the art space begins to render me incapable of intelligible conversation. how often do you push yourself? Like the first polar explorers, ultra-marathoners, or Guinness record-breakers, individuals who choose to question boundaries or limitations end up taking risks that many aren’t willing to. Testing limitations becomes even more rare now, in a culture that is increasingly regulated and monitored due to a heightened sense of fear. Comfort Zones features 10 artists from across the country who share an adventurous attitude but who, more specifically, feel compelled to test their own limits, the limits of the system they function within or who intentionally impose restrictions on themselves to understand what boundaries mean to them.